It's always more fun to DIY. Every week, we'll spare you a trip to the grocery store and show you how to make small batches of great foods at home. 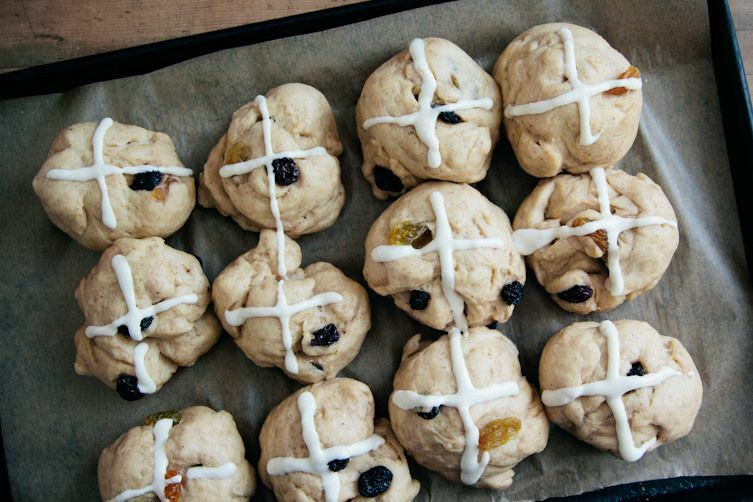 Today: Kathryn from London Bakes's hot cross buns might be more than one or two a penny, but they're sure to make your Good Friday a real celebration. 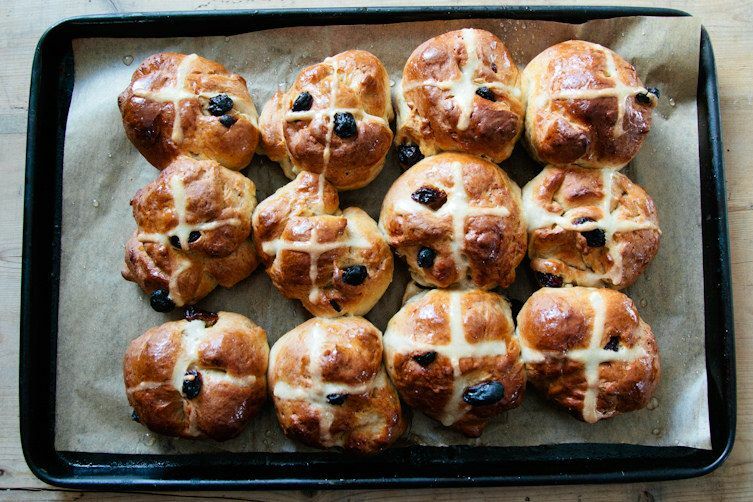 You can find hot cross buns year round, so it’s easy to forget that these little yeasted treats are traditionally eaten on Good Friday. As legend has it, a hot cross bun baked on Good Friday will never go moldy, and if you hang one up in your kitchen, all the bread you bake throughout the year will turn out perfectly. I don't particularly recommend that you test either of these theories, but you should definitely bake a batch of hot cross buns this Easter. 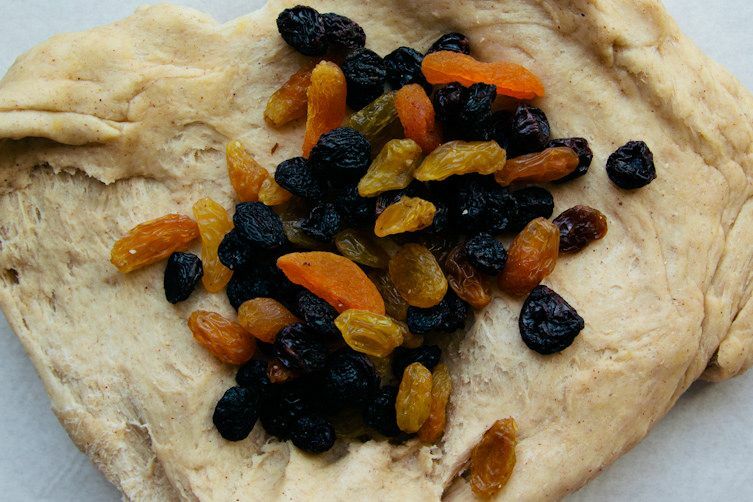 The yeasted dough is enriched with butter, sugar, and egg, filled with spices and sweet dried fruit, and, finally, brushed with a sweet and sticky glaze. They're a true celebration. 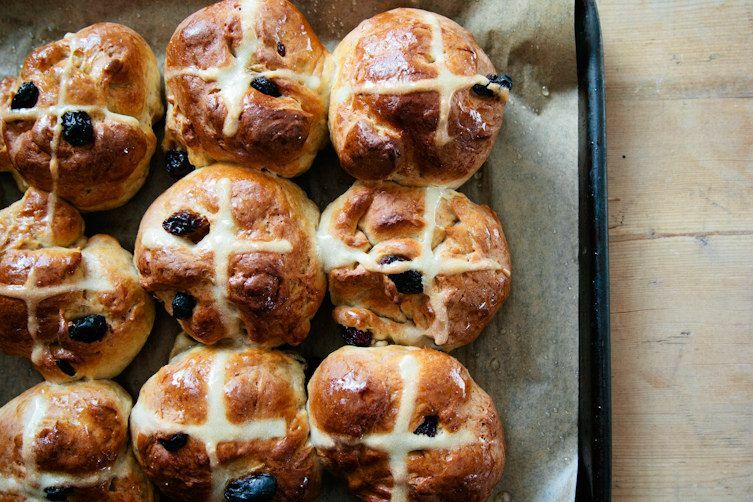 More: Hot cross buns are the perfect addition to your complete Easter brunch spread. In a large bowl or the bowl of a stand mixer fitted with the dough hook, whisk together the flour, yeast, sugar, and salt and set aside. 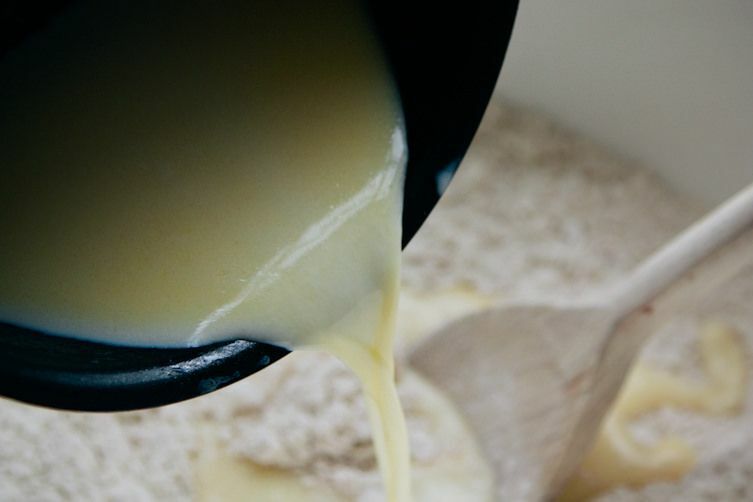 In a small pan, heat the milk and butter until the butter has melted and the milk is warm to the touch. 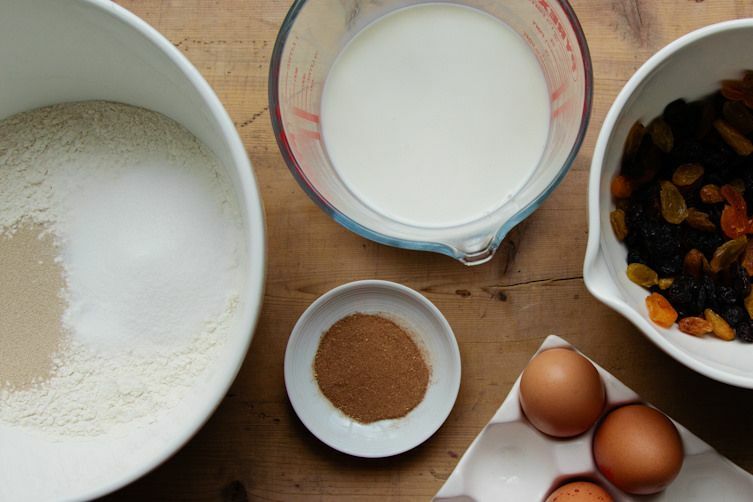 Make a well in the middle of your dry ingredients and pour in the milk and butter mixture, followed by the egg. 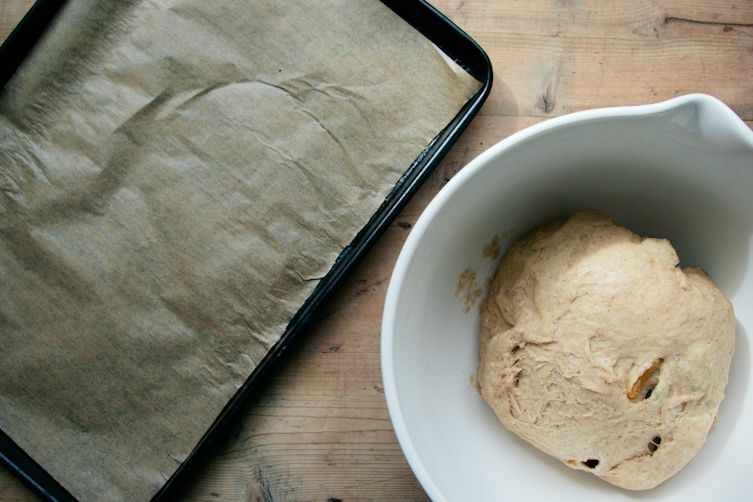 Bring the mixture together with a wooden spoon or your hands, and then knead until the dough is smooth and elastic (about five minutes with a stand mixer; slightly longer by hand). 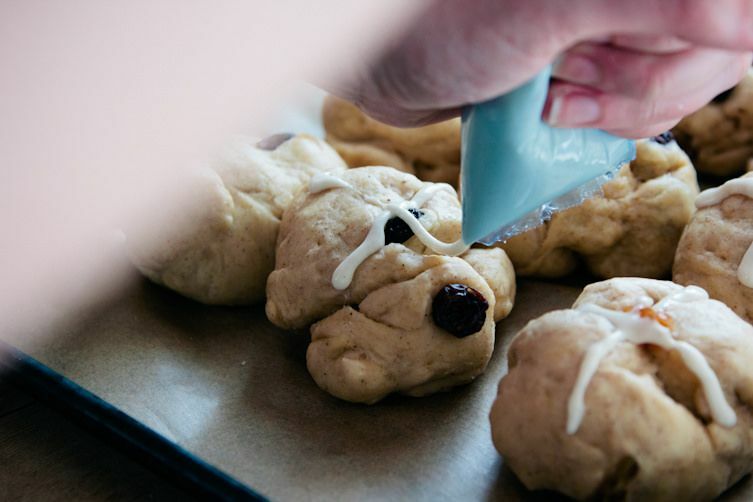 Place the dough in a lightly greased bowl and cover with plastic wrap. Put the bowl somewhere warm and allow the dough to rise until it’s doubled in size, about an hour or so. When the dough has risen, remove it from the bowl and lightly knead in the spices and mixed fruit until everything is evenly distributed. Divide the dough into 12 equal portions and shape each into a round bun. 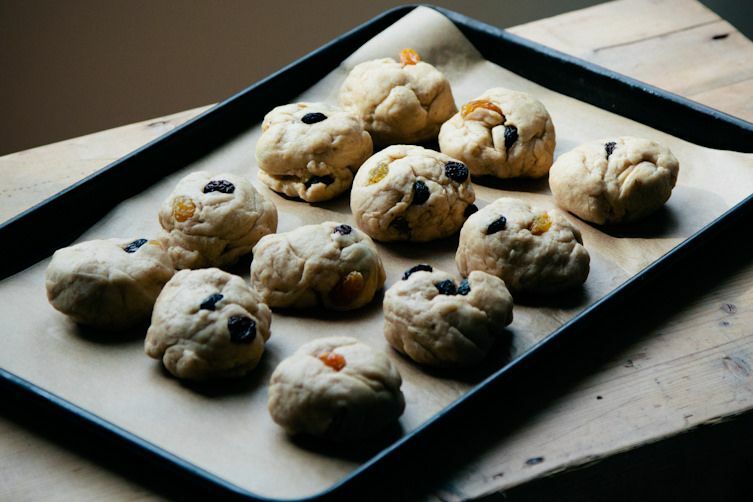 Place the buns on a baking tray lined with parchment paper, allowing for a little space between each. Cover the buns with plastic wrap and allow them to rise for another hour or so, until they have puffed up and doubled in size. Preheat the oven to 425° F (220° C). 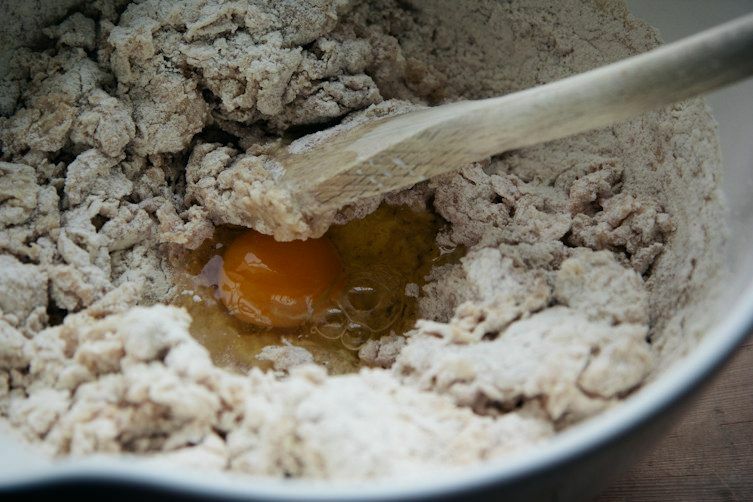 When the buns have risen, make a smooth paste by mixing together the flour and about 1 to 2 tablespoons of cold water. Pipe a cross onto each bun. Bake for 15 to 20 minutes, until golden brown. When the buns are almost finished cooking, combine the sugar and boiling water and mix until the sugar has dissolved. Remove the buns from the oven when baked and brush them with the sticky syrup. The hot cross buns are best eaten the day they are baked, but can be kept in a cool, dark place for a couple of days and revived in the oven if they get a bit stale. The baked buns also freeze nicely, so you can have a taste of Easter all year long. Kathryn writes the baking blog London Bakes (www.londonbakes.com) and likes a proper English biscuit to dunk in her cup of tea. I agree with @golddeer below. These tasted delicious, but the dough was so dry that I was hurting from the kneading; glad my boyfriend could take over. And, yes, I was using King Arthur. Made these this morning and they turned out fabulous! My only suggestion is that if you use King Arthur bread flour (which I did) you may want to dial it back a touch, say 3 1/2 to 3 3/4 cups. used to love to make these with Mom every spring. If you've never made them from scratch, I recommend it. There's no substitute for doing it yourself.